For more information on the differences between tags and categories please check out this support doc. 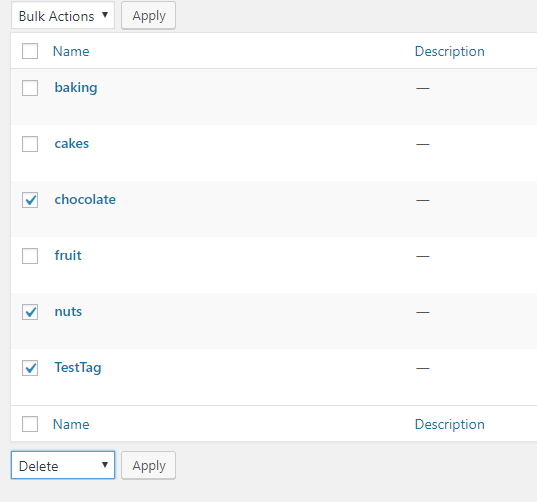 Depending on the theme and widgets you have activated, tags can be displayed at the top or bottom of posts, on the individual post view, and/or in the sidebar. 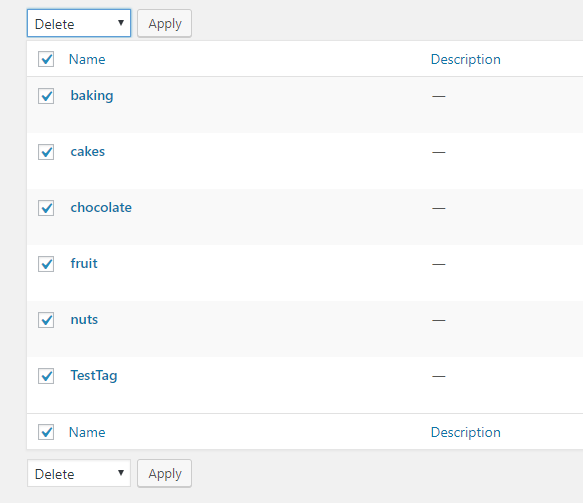 You can assign multiple tags per post. You can add tags one at a time by clicking on the highlighted tag or hitting the Enter/Return key on your keyboard after typing each tag. 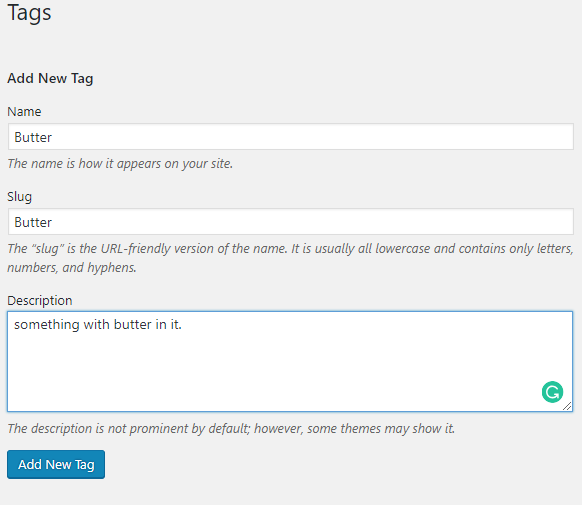 Or you can add multiple tags at a time by separating them with a comma as you type. If you click on Edit you will be taken to a separate page where you can edit the name and description. 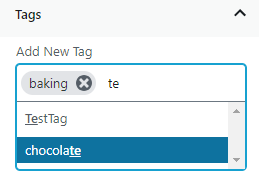 This functions exactly the same as adding a tag.